What is a Regular Giver? depends on your own situation and the commitment that suits you. 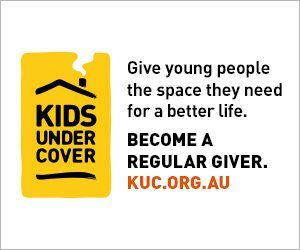 By committing to a regular gift of just $35 a month, your donation will ensure we can continue to support at-risk young people with secure and stable accommodation. Providing them with the space they need to remain connected to family, the community, and education. There are an estimated 27,680 people under the age of 24 who were counted as homeless on Census night 2016. We must be able to do more to prevent young people from becoming the face of homelessness in our country. A regular gift will mean we can help more young people like Ali, giving them a real shot at a brighter future, a future that does not include homelessness.